A mere three seconds can change your life; it is estimated that nearly 80% of crashes are caused by some form of driver distraction within three seconds before the event. Distractions in the car are far too numerous; we talk on mobile phones, read or write when we are stopped at the lights, refresh our makeup, eat, drink, the list is endless but most parents will admit nothing compares to the distraction of driving with children. Explain to children that driving needs concentration and that safety takes precedence at all times, no matter how “urgent” their needs may be sometimes it is necessary to ignore them. Always have a supply of “gifts”, something small like dices or hair clips wrapped up for those tricky moments. The distraction of unwrapping may just be enough to postpone a potential meltdown. 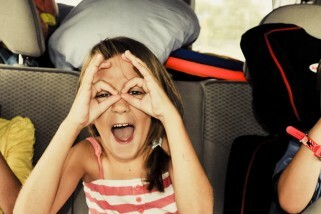 A good way to keep peace in the car is to assign the older child the task of keeping an eye on siblings. This fosters a sense of responsibility in the older child. If there is a problem or issue find a safe place to pull over before the situation escalates. Reward good car behaviour, stickers, praise and a little extra of what your child enjoys goes a long way. 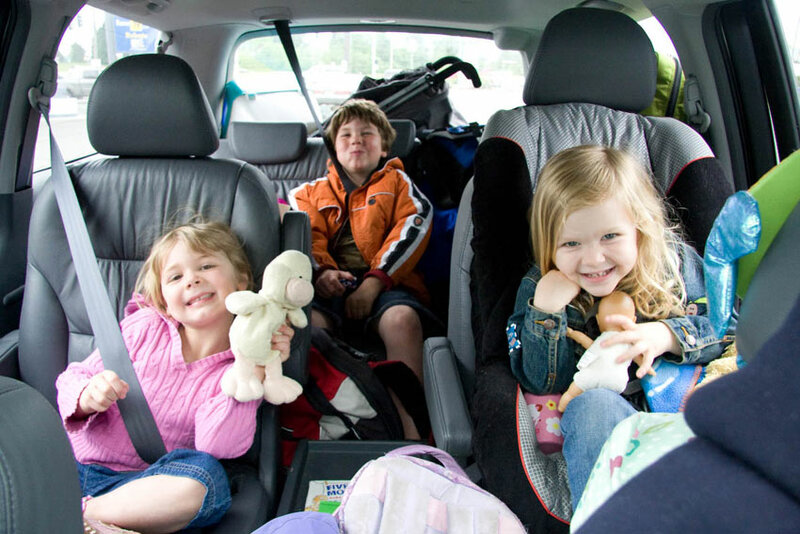 Anticipate what children need before you embark on the journey and ensure that their games and car safe toys are easily accessible. Check that there are no choking hazards at arm’s reach to small children and avoid anything that can be used as a missile/weapon against parent or sibling. Ensure that there is no sun or glare in your children’s eyes as this can cause them to be irritable; a glare-reducing window screen is a good solution. If you are on a long journey and children need to have access to drinks or snack make sure they easy to reach, handle and hard to spill. Bite-sized snacks packaged in individual containers are the easiest and safest to deal with while on route.